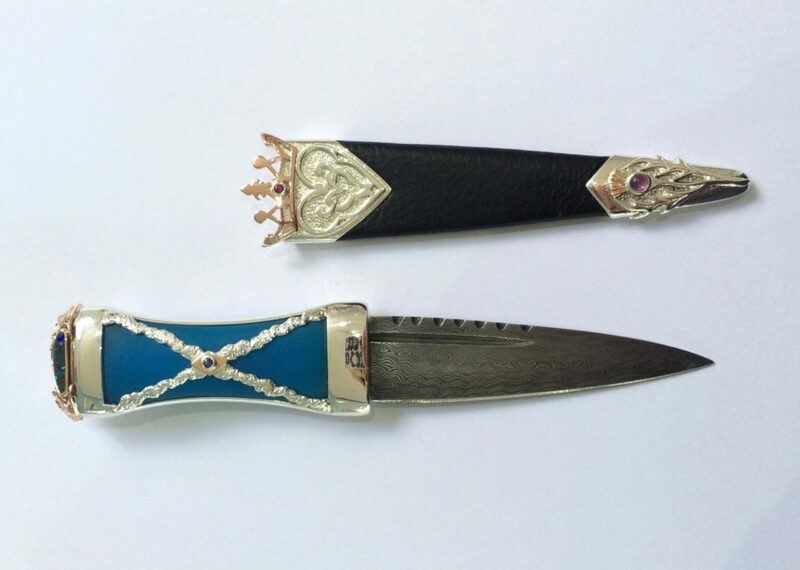 If you haven’t been blessed with Scottish heritage, or an encyclopaedic knowledge of Scottish objects, the definition of a Sgian Dubh (Gaelic), or Skean Dhu (English), might not be familiar. 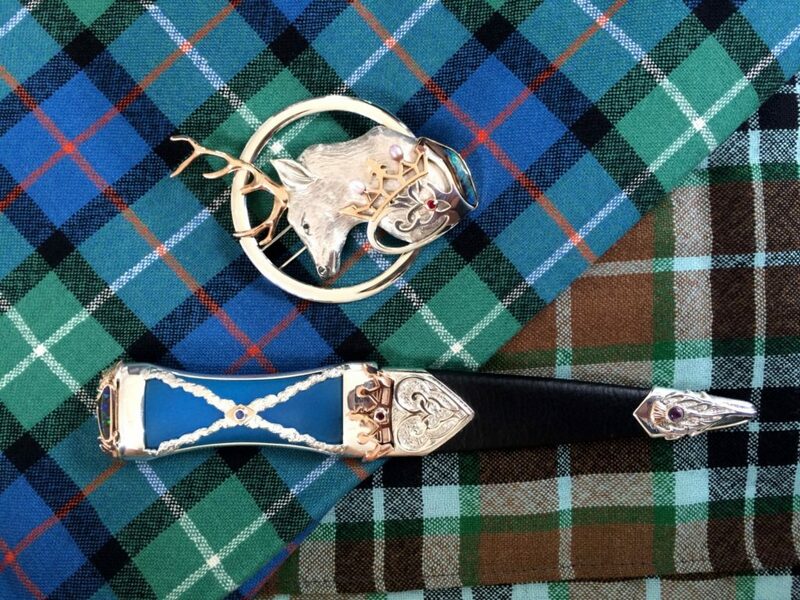 You can find this small knife tucked into the right stocking or sock of a gentleman’s ceremonial Scottish dress. A client approached us with the idea of making a very personal Skean Dhu for his family. This was not an everyday challenge, which made the project all the more exciting. 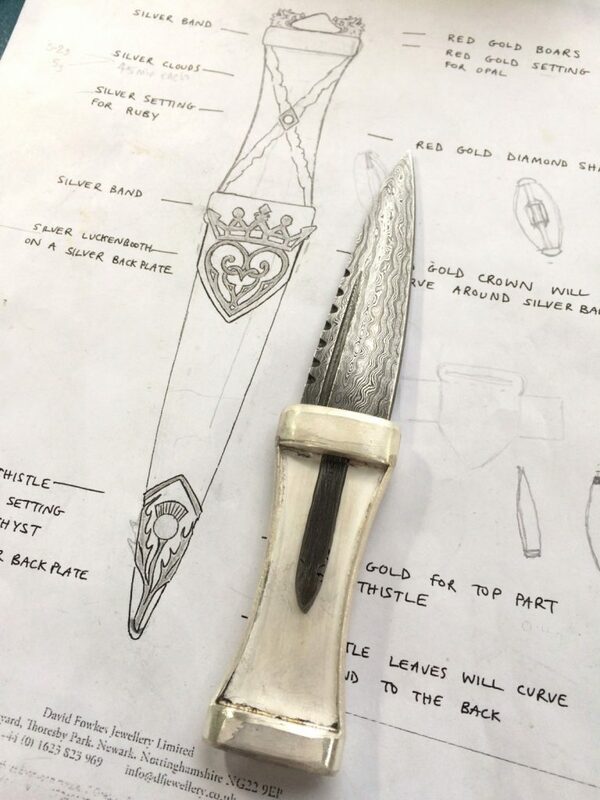 Each contributing element of the Skean Dhu had been considered by the client: we provided design and goldsmithing skills to the table, turning his ideas and dreams into a beautifully handcrafted reality. 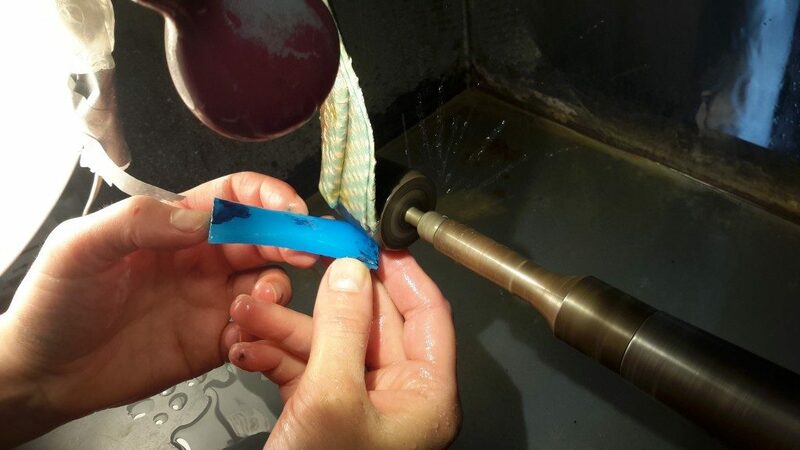 Our main challenge was to include each and every symbolic element; making them flow seamlessly, ensuring the finished item was richly decorative yet wholly functional and ergonomic. 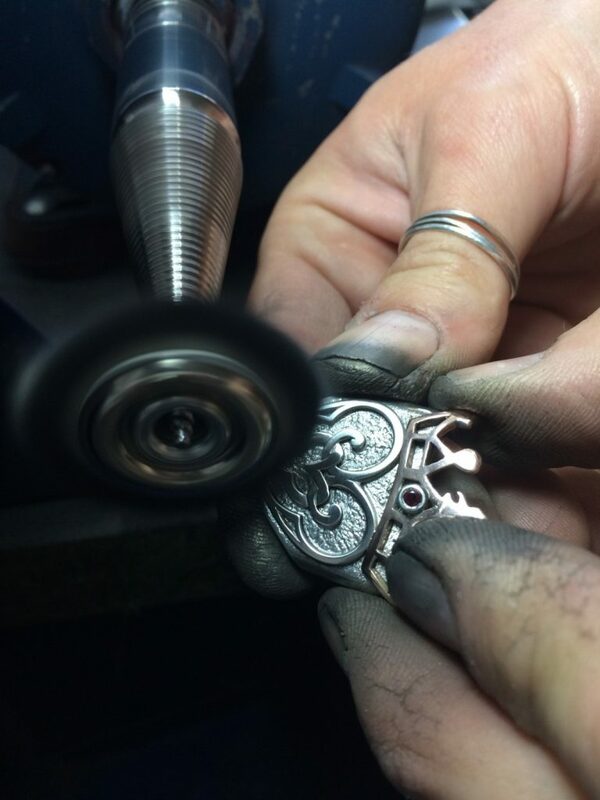 The personal iconography running though the design of this piece makes it a truly unique, bespoke piece of craftsmanship. 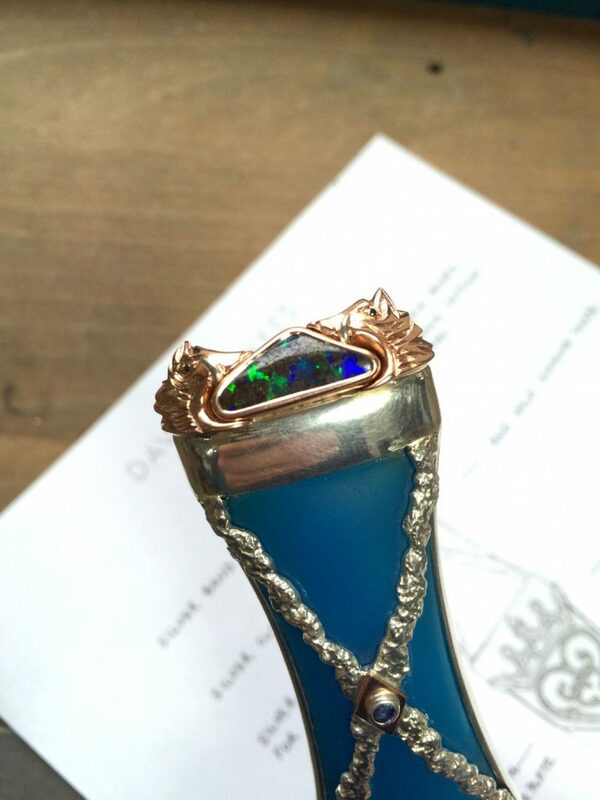 We sourced blue agate of a very specific shade of blue, carved it by hand to exacting dimensions, before setting it into the handmade silver framework of the knife’s hilt. 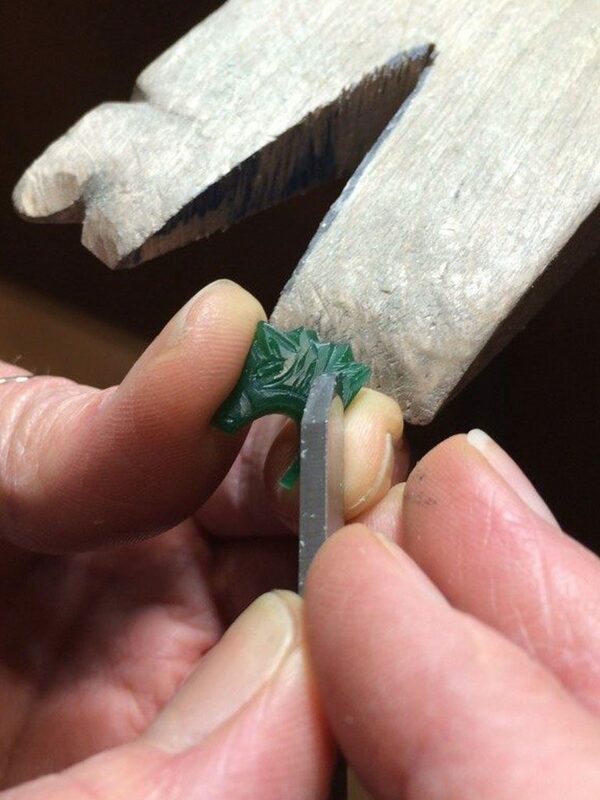 Two boar sit atop the hilt: these intricate wax models were carved by hand and then cast into red gold. A boulder opal set in red gold is nestled between them. 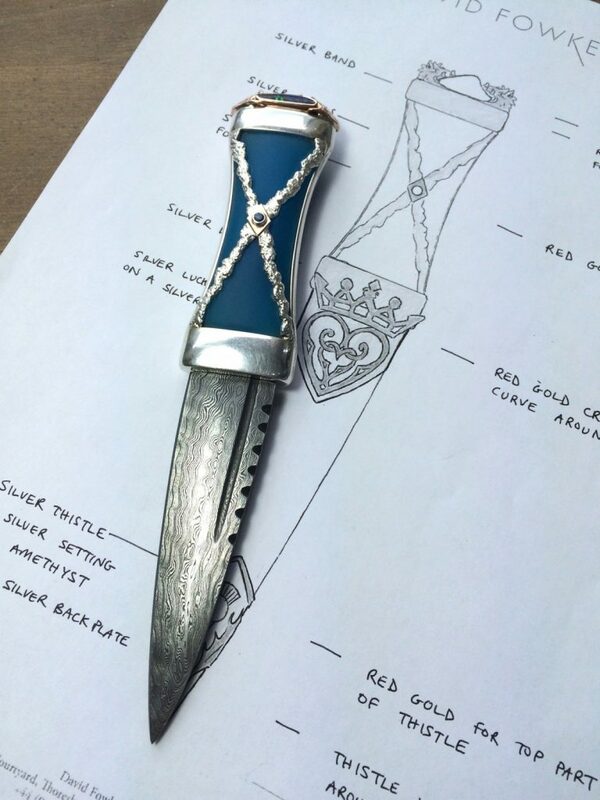 The history of the Saltire, elements from the family crest, traditional Scottish iconography, and symbols of personal significance are all intertwined in this complex design. This was a hugely inspiring, complex, and rewarding project for our team. It was many months in the making and a test of our creativity and skill. Our client was delighted with the final Skean Dhu and we are thankful to him for his wonderful ideas, wholehearted collaboration, and willingness to share the details of his project here with you. If you have a unique idea that you would like to turn into a beautiful reality, please contact us today. 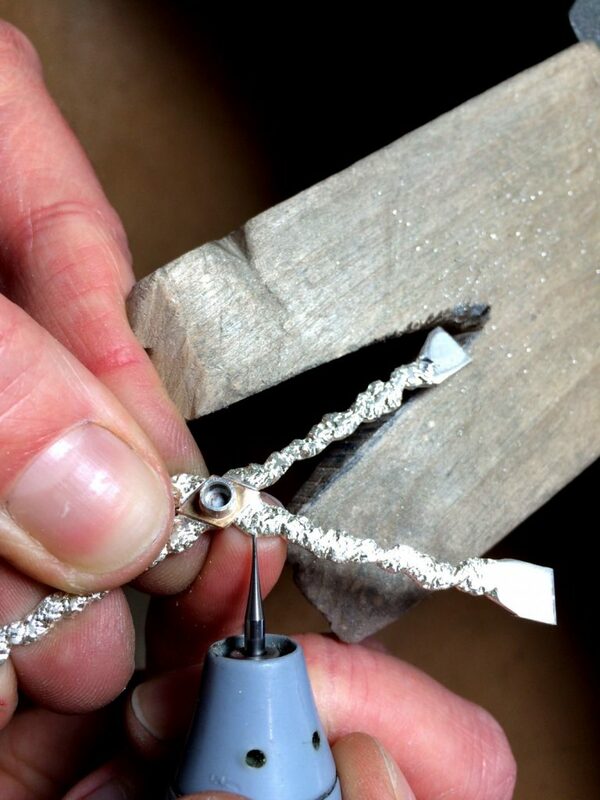 "My ring has arrived as promised and I have enjoyed seeing the fruits of our deliberations and your workmanship. I am extremely pleased with my ring and cannot thank you enough for bringing about something new from the past. Once again, a big thank you!"